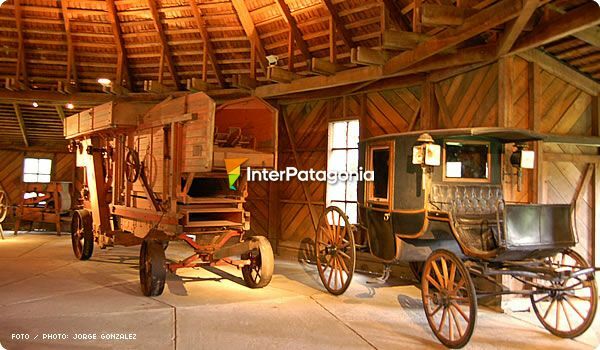 Visiting the Patagonian museums is a way of having a close link with the life, the customs and the natural environment of its communities. Paleontology, archeology, history are some of the disciplines developed in these sections dedicated to witness the culture of the region. Through each one of the corridors listed in the menu on the left, you can virtually access a wide range of sites, true invaluable refuges of the Patagonian identity. Because not only is a museum a look into the past; it is also a look into the inside. Within this section, there are several activities that are closely related to adventure and risk, capable of generating bursts of adrenaline at an unusual rhythm. Exciting excursions on 4 x 4 vehicles or challenging quad rides captivate the senses at the same time you can experience the joy of seeing and enjoying nature in its purest state from a different point of view. The rise of the estancias has changed the empty limitless space into a rural production environment that enabled the country to be positioned among the first suppliers of raw material in the world. Towards the south, the estancias have given the scenery a new shape. Getting through the harsh winter, the intense snowfalls and the incessant wind, they have become real settlements scattered in the vastness of the fields.